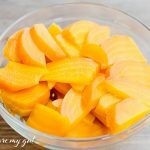 Easy Instant Pot Golden Beets Recipe. Perfectly pressure-cooked beets. This fool-proof step by step tutorial will give you wonderful delicious golden beets ready for salads, making hummus or throwing into smoothies. This mighty vegetable is high in fiber, potassium and calcium making it the perfect addition to a balanced diet. 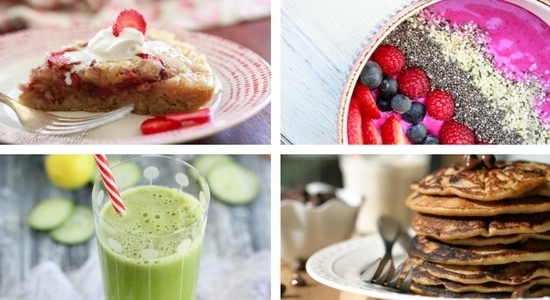 It is naturally gluten, grain and dairy free. Rinse and scrub beets. Cut off leafy part. Add 2 cups of water to the Instant Pot and place trivet or steamer basket into the Instant Pot. Add beets, place lid and put on sealing mode. Turn Instant Pot on to high pressure for 12 minutes for soft beets (my favorite) and 7 minutes for crunchy beets. Once timer beeps, allow to sit another 14 minutes to steam. Using an oven mitt or wooden spoon, release pressure. Careful with the steam! Use tongs to carefully remove beets from the Instant Pot. Place beets on a cutting board and allow to cool to touch before removing skins. Use a paper towel to remove skins and slice before serving. I am using an 8 quart Instant Pot in this recipe that has 6 functions. There is a newer 9 function Instant Pot available now that sterilizes.